Welcome to Performancecars.com.au - This is a performance car website directory. Our aim is to bring you relevant content and links to other car websites, including; performance cars, used cars, unique cars, sports cars, muscle cars, V8 Cars, rotaries, imported cars, Australian made cars, race cars, touring cars and many more car specific sites as well as other relevant car websites including; car wheels, body kits, used car parts, new car parts, car interiors and more. As well as this we have links to Car finance companies, car insurance companies and car manufacturers. We are open to ideas and suggestions so if you have any suggestions or you would like to suggest a link then send us your details on the contact page. We thank you for visiting Performance Cars and hope you enjoy our website. 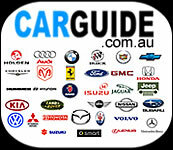 BodyKits.com.au find that perfect body kit for your performance car. Find a wedding car rental for the best day of your life.